The School Council visited the Senedd in Cardiff Bay to hold a meeting in Siambr Hywel and to look at where the Assembly Members make decisions about things that happen in Welsh life. Here is a video diary about what happened during the day. May I on behalf of the governing body and staff offer our thanks for the cards and presents that we are given by the children each Christmas. We really appreciate the effort made to thank us each year. We hope that everyone will enjoy a peaceful Christmas and that Santa brings everything on your lists. As usual, the pupils have created a wonderful athmosphere in school and the concerts and other end of term activities have put us all in the festive spirit. Please also join us in offering our prayers and condolences to the Davies family during this difficult time for them. Over the next few days I will be updating the blog with videos of the Grandparents Concert and other activities that have been taking place during this busy term. I have a new piece of software that will allow us to transfer these to our blogs more effectively. I will also use the text to parents service to remind parents of arrangements for returning to school in the new year. I am very pleased to announce that the Governing body appointed Mrs Joanna Taylor to succeed Mr Christopher Jones as Learning mentor for Additional Learning Needs today. Mrs Taylor is currently ALN Co at St Michael's Primary School in Newport and will take up the appointment in the summer term. She is an experienced teacher and her current school was praised in a recent ESTYN inspection this summer. She has recently moved back to the Pontypridd area but has relatives in the Treherbet area so we are really welcoming one of our own home. I am sure that Mrs Taylor will be missed when she leaves her current school and we look forward to her joining us after Easter. 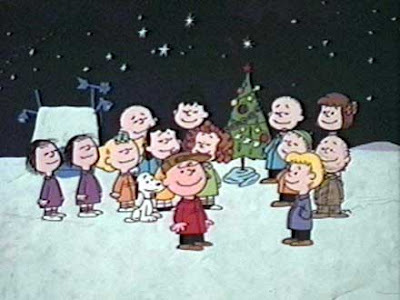 During this week parents will be sent their allocation of tickets for the upcoming Christmas Concerts. Class 1 and 2 - (Nursery and Reception) will be allocated two tickets per family per performance which will be held on Monday 12th December at 1.30 p.m. and Tuesday 13th December at 9.30 a.m.
Class 3 and 4 - (Year 1 and 2) will be allocated two tickets per family per performance which will be held on Monday 12th December at 2.15 p.m. and Tuesday 13th December at 10.15. The Junior concert this year will be performed jointly by Years 3, 4, 5 and 6. Due to the limitation on space in the Hall we will only be allocating ONE TICKET per family per performance. Tickets will be issued to the elder sibling. These performances will take place on Tuesday 13th December at 1.30 p.m. and at 6.00 p.m. I realise that this will be a disappointment to some but we simply cannot accommodate any additional family members. We have explored the possibility of moving the performances to a larger venue in the community but this has proved to be difficult. We will, of course, be filming the performances so that you may purchase the concerts on DVD for posterity. Please will you abide by the no photography rule. In addition this year we will not be able to accommodate any children under school age in pushchairs or buggies. A recent change in the fire safety regulations has led me to request that this regulation be observed. I thank you in advance for your anticipated co-operation. As usual we will not be charging for admission to the concerts but would ask you to make a voluntary contribution to the school fund during a retiring collection. Members of the GMB and UNISON trade unions - along with the Professional Associations of the National Association of Head teachers (NAHT); National Union of Teachers (NUT); National Association of Schoolmasters and Union of Women Teachers (NASUWT) have notifed their employs that the school will be involved in industrial action on Wednesday 30th November 2011. School will be closed for pupils. We are pleased to announce that the school has organised a textile collection with Bag2School in order to raise funds for our playground equipment project. 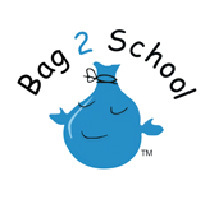 Bag2School are the UK’s leading textile recycler and fundraiser working with schools and since its inception in 2001 they have now paid out over £10 million. As well as raising vitally needed funds for our school, it also helps the environment by helping to divert unwanted textiles away from landfill. A recent DEFRA report has shown that textile collection schemes are helping to reduce the volume of textiles discarded as municipal solid waste. However it is a fact that as a nation we still send 1,081,000 tonnes of textiles to landfill every year. By getting involved in our Bag2School collection, you have an opportunity to sort through your cupboards and wardrobes and donate unwanted textiles in the bag provided – this can include adults’ and children’s clothes, shoes (tied together please), hats, belts, bags, soft toys, curtains and bedding (not duvets or pillows). We will receive £500 per tonne or £0.50/kg which will be a great boost for our fundraising. In addition it will also raise awareness amongst the children of the benefits of recycling and reuse. Bag2School will be collecting from our school on WEDNESDAY 23rd NOVEMBER at 9.00 a.m. Please bring your bag (or bags!) to THE SCHOOL HALL and help us have a really good collection. Many thanks indeed for helping us with this unique fundraising opportunity. Members of the following trade unions - the GMB and UNISON along with the Professional Associations of the National Association of Head teachers (NAHT); National Union of Teachers (NUT); National Association of Schoolmasters and Union of Women Teachers (NASUWT) have notifed their employs that the school will be involved in industrial action on Wednesday 30th November 2011. As my professional association is one of the above I am required to undertake a risk assessment relating to the potential impact of the action. Under current industrial legislation employees who continue to work cannot be required to undertake work beyond their normal duties. The risk assessment is made against the impact that the action will have on the health and safety of pupils, staff and visitors, whether the school is able to deliver a full or amended curriculum and ultimately whether the school should remain open or whether it should close. I have informed the Director of Education and Chair of Governors that the school will be closed for pupils on that day. The reasons are that it is not possible to provide adequate staffing cover for all or some of the pupils; No first aid cover be available; There will be indequate supervision of children at lunchtime and break times neither will there be sufficient support staff available in class to assist with children with special needs etc and the particular demands of nursery and Key Stage 1.Emergency hazards will not be dealt with appropriately, such as broken glass, spillages and hygiene issues such as cleaning of toilets and dealing with vomit and other bodily fluids. The representatives of the professional associations have asked me to write to parents informing you of why this action is being undertaken. Following joint meetings and discussions with the government, the professional associations believe that the proposed changes to pension schemes are unfair and unnecessary. They believe that the proposed changes will seriously damage motivation and morale, exacerbating the already serious problems of recruitment and retention of school leaders. First and foremost, school leaders see the attacks on pensions as an attack on pupils. This is because they fear that any cuts to terms and conditions such as pensions could have a profound effect on the recruitment and retention of talented staff. Heads fear that high calibre graduates may be discouraged from entering the profession and force gifted younger staff to re-think staying on. Teachers have already accepted their part in helping to bring the nation’s debt under control by accepting a two-year pay freeze and tighter budgets. It is also why they have made sure that the teachers’ pension scheme – which was significantly amended in 2007 - is sustainable and affordable, a fact with which the National Audit Office and the Public Accounts Committee concur. We are extremely concerned that school closures will disrupt the lives of working parents and regret that it may come to that. However, we hope parents and the wider community understand that school leaders believe passionately in the value of a good education and do not see why it should be put at risk to pay for the mistakes of others. Please will you make alternative arrangements for your children on this day as the school will not be open to receive any pupils. School will recommence for all pupils on Thursday with Breakfast Club opening at 8.00 a.m. The pupils and staff are delighted to announce an exhibition of the children’s art to be held in our school gallery on Thursday 1st December 2011. These original framed works of art can be purchased by the artist’s family. Our previous exhibition in 2008 was very popular and feedback from parents was very positive. Let's hope that this will be able to be replicated this year. Reminders will be sent by pupil post and text2parents messages. Today we were assessed for the Fourth Phase of our Healthy Schools Award and, of course, we were successful. My thanks go to the staff and pupils for developing the initiatives that were part of our action plan and to Mrs. Fraser for leading the project. Look on the Healthy Schools Blog to see what evidence we provided and see the photos and videos of the related activities. The arrangements for the last week of term activities for our Christmas celebrations are as follows. 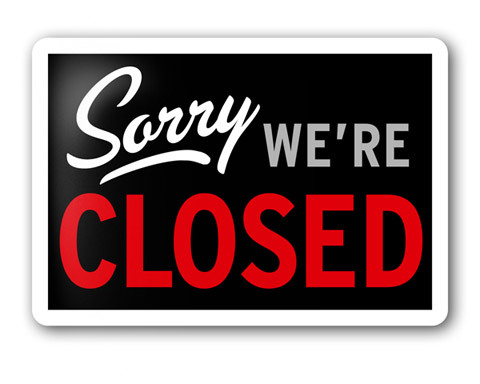 School will close after afternoon registration for the Christmas holidays. Parents please collect pupils at 1.10 p.m.
Several of the teaching and other unions have balloted their members and at present I have been informed that there is a plan to take industrial action in support of the opposition to proposed changes to their pension plans. Precise details of the action to be undertaken is not available but it is likely that parents will need to make alternative childcare arrangements for that day as the school will be closed. As soon as I have precise information I will clarify the situation with you. Please will you make contingency plans for this day should the strike action take place. May I take this opportunity to thank Mr Jones and Year Six for providing us such wish such a moving assembly on Friday morning. It was a special occasion and I am very pleased that we were able to come together on Armistice Day to commemorate those who have given their lives in the various conflicts around the world. It is very important that the pupils of Gelli Primary are aware of this national commemoration. I am sure that parents who were able to attend were moved by the message the pupils conveyed. Diolch yn fawr. Mrs. Flanary-Davies met with our newly formed Parents Focus Group on Friday. I hope that this will be an opportunity for parents to contribute to developments in the development of provision. I hope to meet with the group on a regular basis so that the parent voice can contribute in a positive way. The group plan to issue bulletins to communicate any developments to parents. Mrs. Lake our School Crossing Patrol outside Darran’s has recently retired. Mrs. Flanary-Davies and members of the school Council presented Linda with a bouquet of flowers in recognition of her long service in keeping our pupils safe. We wish her well in her retirement. We are working with the School Transport Team to recruit a replacement for her. I recently sent a text asking parents inquiring whether on not anyone would wish to be trained as a School Crossing Patrol Officer at Ty Isaf Road. If you know of anyone who would like to take this opportunity please contact the school. The School and Eco Council have organised an initiative to collect unwanted textiles in good condition which are then sold to export markets worldwide where they are sorted and then sold to the general public. Bag2School is a free fundraising scheme established in 2001. 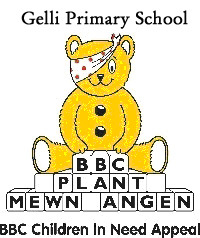 They work in partnership with Schools to help us raise funds from our donations. They operate throughout the UK; collecting and selling your unwanted textiles to importers and wholesalers in many countries of Eastern and Western Europe, Africa and Asia. The funds that this scheme generates will then go towards the Eco School Action plan. We have distributed bags next week and you can return them to school and deposit them in the school hall from Monday 21st November onwards. If you require additional bags please bring them in ordinary black bin bags and they will be transported in those. The bags will be collected on Wednesday morning 23rd November so please can all bags be returned before then. We raised over £250 last summer and I hope that we can top that on this occasion. The children are busy completing their paintings for an Art Exhibition which will take place on Thursday 1st December at 3.00 p.m. The organiser will be in school next Friday to collect the exhibits for framing. Please will parents put this date in your diaries to view and purchase your child’s work. We will send out precise details of this event in a separate newsletter, however, those parents who remember the previous exhibition will remember how successful an event it was. We hope that this event will be even more successful. Mr Leighton Andrews Education Minister in the Welsh Government answers questions posed to him by memeber of the Gelli Primary School Council. Our new School Council was elected earlier this term and today they were visited by the Education Officer at the Senedd Mr Dilwyn Young Jones (back row right) and our own Assembly Member and Education Minister Mr Leighton Andrews (left). Mr Young Jones talked to the School Council about the work that the Welsh Government undertakes on our behalf in Cardiff Bay and how important a role the School Council plays in bringing forward the views and opinions of pupils at Gelli Primary. In previous years, our pupils have visited The Senedd in the Bay to conduct a meeting in Siambr Hywel and later this term the present school council will also make the trip. Last year, the School Council worked with the Head teacher, Governors and Staff to raise money to improve our play facilities. They undertook several fundraising activities to purchase a "Trim trail" for the Big yard. Mr Young Jones and Mr Andrews are pictured above with Mrs Dyer, School Council Co-ordinator at Gelli Primary. During his visit Mr. Andrews answered questions from the pupils and commented on how much of an honour and a privilage it was to represent the Rhondda as an Assembly member and undertake the difficult role as Education Minister. We are very grateful to him and Mr Young Jones for visiting Gelli Primary and look forward to visiting The Senedd in December. The work outside the school continues and the next phase will see the area beyond the school entrance affected around Carter’s Corner and into Ty Isaf Road. The road works will free access to the car park and the drop off lane outside but I would appreciate if you would make every effort to keep that area clear of vehicles and take extra care when walking on the pavement to avoid any accidents. May I also remind parents that access to the school car park is prohibited at all times and we will pass on the numbers of cars who flaunt this rule to the police along with any CCTV footage as evidence. I hope that this will not be necessary and we can rely upon your continued co-operation. The company have assured me that the disruption will be kept to a minimum and will only last a few days until they proceed further up Ystrad Road. If you have any comments regarding this issue, please feel free to discuss any concerns with me or you may wish to contact the W&WU Customer Enquiry Team on 02920 270653 or customer.enquiry@wwutilities.co.uk who will be pleased to help you. I have been asked by our Foundation phase staff to remind you of our policy for collecting pupils at the end of the day. Nursery pupils are collected from Nursery at 3.00 p.m. Reception at 3.05 p.m. from the Foundation Phase Yard, Year 1 at 3.05 p.m. from the Year 1 door and Year 2 at 3.10 p.m. at the main entrance. At present there is a lot of congestion outside the Year 1 area which is causing some problems in dismissing the pupils. I will be grateful if you could consider this when picking up your children and disperse as soon as they have been picked up. I have been informed by Breakfast Club staff that pupils are being left on the premises at 7.50 a.m. This is not acceptable and the school or the staff cannot be held responsible for your pupils before the scheduled start of club at 8.00. a.m. I will have to write to individual parents if this continues and the LA have informed me that if this persists they will withdraw the privilege of attending Breakfast Club for those pupils. This year we will be supporting a school in Rwanda as part of our Harvest celebrations. Next week Mr Greg Reynolds from Rwanda Restored will return to collect our donations. If you have not already done so please will you send in your donation so that our plans to use any money raised to purchase mosquito nets that cost £5.00 can be achieved. We will be holding another Ugly Bugs Ball on Thursday 20th October. The Disco will take place in the school hall from 4.30 – 5.30 p.m. for Nursery, Reception, Year One and Two pupils. Please can I remind parents that theses pupils must be accompanied by an adult to the disco as we cannot supervise any unaccompanied pupils. The disco for the Juniors will be from 5.45 – 6.45 p.m. You can dress your child up as an Ugly Bug. An entrance fee of £1 per child will be charged. There will be food available, some party games. A further reminder will be circulated in a future newsletter. Proceeds from the evening will go to purchase equipment for the pupils. Parents can collect children from school after the concerts tomorrow afternoon. Unfortunately we cannot accomodate any parents but if you wish you can collect your children after the Foundation Phase concert at 1.45 p.m. and the Junior pupils can be collected at 2.45 p.m. Pupils can go home with their Grandparents but if you wish to give permission for your child to be taken home please can we have this in writing. Pupils will be supervised until normal end of school hours if needed. Can I clarify the arrangements for next week’s parents meetings. You and your child are invited to attend an informal presentation by the class teacher of our classroom expectations, our class rules, homework arrangements, information on how you can support your child at home and all other aspects of the class routine. This will be followed by the class teacher running through the work forecast which you receive each term. There will be a short question and answer session at the end. Please will you be mindful that we will not discuss any individual children during this time. If you feel that there are any unresolved issues concerning your child please will you make an appointment to see me and we can discuss an appropriate plan of action to resolve this. Younger children will be supervised in the hall by our Foundation Phase staff during your visit. The timetable will be as follows. Year 4 - Mrs. Johnson - 3.20 p.m.
Year 6 - Mr. Jones - 3.30 p.m.
Year 1- Mrs. Dyer - 3.20 p.m. Reception - Mrs. Dyer / Miss Davis - 3.20 p.m.
Year 2 - Mrs. Fraser - 3.20 p.m.
Year 3 - Mrs. Carly - 3.30 p.m.
Year 5 - Mrs. Flanary-Davies - 3.30 p.m. I hope that as many parents as possible will attend as I feel this is an important opportunity for us to communicate some important issues with you. Please will you complete the invitation form at the bottom of the letter and return it to your class teacher by as soon as possible. If you have any comments regarding this issue, please feel free to discuss any concerns with me or you may wish to contact the W&WU Customer Enquiry Team on 02920 270653 or customer.enquiry@wwutilities.co.uk who will be pleased to help you. The DVD of the Sound of Music production has now been edited and copies can be ordered by completing the slip on the bottom of this newsletter. We would appreciate pre-payment and you will be notified when they are available for collection. We will be holding our annual Grandparents concerts this year next Friday 7th October. As usual, the Foundation Phase and Key Stage One children will perform at 1.15 and the Juniors at 2.00. In previous years we have received requests for parents to attend. This concert is a special occasion to celebrate Grandparents Day and I appreciate that not all Grandparents are able to attend and that some of you wish to see your children perform. It is proving to be difficult to apply this as many parents are unwilling to co-operate. Please will you assist us in not attending and make this a special day for Grandparents. We will record each concert and put samples on the school blog for you to see. This year we will be supporting a school in Rwanda as part of our Harvest celebrations. Mr Greg Reynolds, a former deputy head teacher at this school who is now in retirement, visited the school to inform pupils in publicising the work he and some of our former head teachers undertake in supporting a school and the children of an African village. I used our text2parents facility to remind you that the collection was being taken yesterday; however, a large majority of the pupils were unaware of this. A collection box has been left in the school library area for donations. Mr. Reynolds plans to use any money raised to purchase mosquito nets that cost £5.00. If, on average, each child donate a £1 we will be able to purchase 40 mosquito nets that will protect the children of the village from being bitten by the insects while they sleep and avoid them contracting malaria or any other illness. I am sure that we can achieve this target. You may be interested to visit the web site of the organisation at www.rwandarestored.org. Thank you for your support for our Annual Book Fair during the week of Monday September 19th. I would like to thank Mrs. Johnson for organising the event so efficiently and for the staff who helped with running the sessions so smoothly. We are inviting parents to a meeting during the week of October 10th to October 13th where each class teacher will outline the classroom expectations they have for the coming year to you with your pupils. The sessions will begin after school and take the form of a 10 minute presentation by the class teacher of class rules, homework arrangements, information on how you can support your child at home and all other aspects of the class routine. This will be followed by the class teacher running through the work forecast which you receive each term. There will be a short question and answer session at the end. Please will you be mindful that we will not discuss any individual children during this time. If you feel that there are any unresolved issues concerning your child please will you make an appointment to see me and we can discuss an appropriate plan of action to resolve this. Please will parents make every effort to attend this important meeting. Precise details for each class meeting will be circulated in a separate newsletter on Monday evening and appear on the School blog. A text message reminder will be sent 24 hours before your class meeting. We will be holding another Ugly Bugs Ball on Thursday 20th October. The Disco will take place in the school hall from 4.30 – 5.30 p.m. for Nursery, Reception, Year One and Two pupils. The disco for the Juniors will be from 5.45 – 6.45 p.m. You can dress your child up as an Ugly Bug. An entrance fee of £1 per child will be charged. There will be food available, some party games. A further reminder will be circulated in a future newsletter. Proceeds from the evening will go to purchase equipment for the pupils. May I take this opportunity to welcome new parents into our school community and hope that you will play an active part in your child’s education with us in the coming years. The children have settled down well into the new term with their new teacher’s and classes and I am confident that we can look forward to another productive year at Gelli Primary. We will continue to use our text to parents facility this term. This initiative proved very successful last year and thankfully there have been no reoccurrences of the late night texts. If you have a new mobile number please will you send details to Mrs Thomas so that we can update our database. In addition we are in the process of setting up a new website which will go live later this month. This will give generic details of policies and procedures and will be designed with parents in mind. I have also updated the school blog facility which now will be easier to update from within school. A new feature this term will be the development of our Moodle site. This area will be mainly to showcase pupils work and the opportunity for pupils to access resources for working from home. This will be a secure site and a password will be needed to maintain security. There will be an area where we will be able to post photographs and videos of pupils in a secure environment. Further information will be circulated in future newsletters. 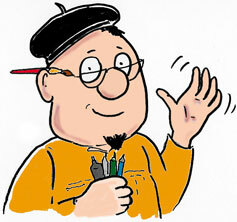 Essential gas maintenance work is being carried out in and around our village. 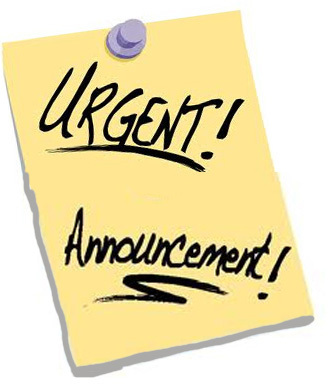 Next week the work will seriously effect our school as the planned work of replacing gas mains and service pipes is due to take place outside the school. This will mean that traffic lights will be in operation and I anticipate disruption at the start and end of the school day for the foreseeable future. During the next fortnight the traffic lights at Ystrad Road travelling south will be placed at the entrance to our drive. The setting down area outside school will be inside the works and therefore unusable. It is anticipated that the next stage of the operation will involve setting up a three way traffic control around from Ystrad Road to Ty Isaf Road. This work is scheduled to take place during the last fortnight of this month. There will be no disruption to the school itself as this work does not include any maintenance to our pipe work and school is therefore unlikely to be affected other than the transport issues. Please can I ask parents to make every effort to make adjustments to the journey times so that the school timetable is not adversely affected. Some of you remember similar work being carried out a few years ago and your co-operation during that time was greatly appreciated by myself and the staff. I am in discussions with the school crossing patrol team to ensure that this service will be in place during this period of disruption and the health and safety of our pupils will be ensured. The staff have separated four large bags of lost clothing, coats, bags, assorted school uniform articles and P.E. kit and are in the process of returning the marked items to their owners. There are, however, two large bags of items that have no identification. Please will parents call in to identify and reclaim any lost items. Any unclaimed articles will be donated to charity after Friday 30th September. I have noticed that there is an increasing amount of jewellery being worn by pupils, even some of the infant children. Can I remind you that our policy is that the only items of jewellery that are considered appropriate are wrist watches and studs or sleepers for pierced ears. We do not approve of either jewellery or cosmetics unless for specific cultural reasons and that only once approval and agreement has been obtained from the head teacher and governing body. Staff are not permitted to remove or “look after” any item of jewellery for children. If an item of “bling” is seen worn, staff will request that the item be removed and taken home. If this item is seen on any other occasion it will be placed in an envelope in the secretary’s office and parents will be informed and required to collect it. The safest place for these items is at home. May I also remind you that tramlines, highlights and other form of dyed hair are also not acceptable. I would request that children who have returned to school with these take appropriate action over the weekend to address this as I will be contacting parents to discuss this if this rule continues to be flaunted. Our policy states that we will ask parents to remove pupils from school until such time as the haircut becomes acceptable. I hope that his will not be the case. We will be holding our annual Grandparents concerts this year on Friday 7th October. As usual, the Foundation Phase and Key Stage One children will perform at 1.15 and the Juniors at 2.00. This year we will be supporting a school in Rwanda as part of our Harvest celebrations. Mr Greg Reynolds, a former deputy head teacher at this school who is now in retirement, will visit the school to undertake work with pupils in publicising the plight of the children of this African village. We will be asking the children to donate coins to a collection on the morning. Further details will be circulated in future newsletter. We will be holding our Annual Book Fair during the week of Monday September 19th. Further details will be circulated in next week’s newsletter. We are inviting parents to a meeting early next month where each class teacher will outline the classroom expectations they have for the coming year to you with your pupils. The sessions will begin after school and take the form of a 10 minute presentation by the class teacher of class rules, homework arrangements, information on how you can support your child at home and all other aspects of the class routine. This will be followed by the class teacher running through the work forecast which you receive each term. There will be a short question and answer session at the end. Please will you be mindful that we will not discuss any individual children during this time. If you feel that there are any unresolved issues concerning your child please will you make an appointment to see me and we can discuss an appropriate plan of action to resolve this. Please will parents make every effort to attend this important meeting. This year school will finish for half term after school on Friday 21st October 2011 and reopen on Monday 31st October. School will close for the end of the Autumn term on Friday 16th December. Monday and Tuesday 19th / 20th December will be INSET days and school will be closed for pupils on these two day while staff attend In-service training. School reopens for pupils for the Spring term 2012 on Wednesday 4th January 2012. School starts for pupils on September 6th. 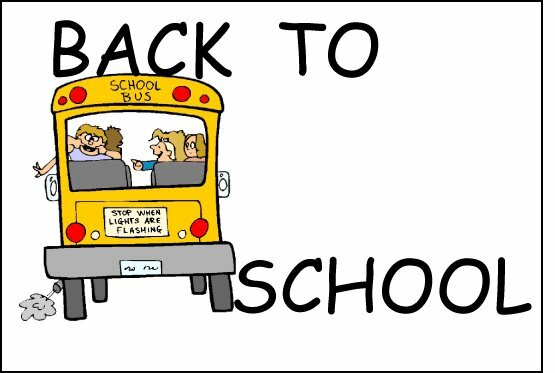 Just a reminder that school starts for all pupils on Tuesday September 6th. Breakfast Club will be open as susal at 8 a.m. Please be aware that there are roadworks on Ystrad Road and there is likely to be delays at peak times. Please allow additional travelling time. Work was completed on the "Trim Trail" comissioned by the Play Leaders for the yard. The workmen Steve and Stuart dug the footings in the quiet yard and set the logs into holes and filled them with post screed. The play leaders will organise activities in the yard in the new term. The play leaders and school council have worked together this year to organise and raise funds for developing the school yard. This week we have arranged for work to be completed to paint the yard and errect an adventure playground for the large yard. This structure has been purchased from funds raised by the pupils who have organised our drink drop initiative, the fruit tuck shop and Enterprise week. By employing a reputable construction company the play leaders have become aware of health and safety regulations and our new Year 6 play leaders will organise activities for our pupils to play safely at lunchtimes and playtimes. They have also purchased Basketball posts to be placed in the newly painted basketball court in the ball play area. Llongyfarchiadau bawb. The new five-a-side and netball basketball court have been painted on they yard. The balance beam leads on to some stepping logs. then across to a log walk and finally a suspended walk on a wire. Posting pupil images on social networking sites. Please can I remind parents that posting images of pupils on social networking sites is prohibited and contravenes our school policy. Parents do not have permission from parents to use images and therefore are acting illegally. I will be grateful if any images taken by parents during the Sound of Music productions this week are removed immediately. Failure to do this will result in parents being reported to Facebook and possible action taken under Child protection procedures. I hope that we can rely upon your cooperation to avoid this. An official video and photographs taken by Mrs Amanda Smith on behalf of the school will be available in September. I would like to draw your attention to the following programme which RCT's services for young people have organised. Click here to go to the wicid.tv site and navigate through the news section to the Summer Programme link. Full details and a contact telephone number is available. BUDDING Bransons and aspiring Alan Sugars pitted their entrepreneurial skills at Gelli Primary School’s enterprise week. Each class at the school was handed a business grant of £30 and were challenged to turn it in to as much profit as possible in the week-long Apprentice-style competition. Headteacher, David Cynan Jones, said: “During our successful Estyn inspection in the summer term last year, one of the recommendations made by the inspection team was that we further develop the pupils’ entrepreneurial skills and introduce them to the concept of how to set up their own business. As part of the event, pupils enjoyed developing their understanding of how to research their product, cost out any outgoings and balance them against other outlays. To get the competition off the ground, parents placed pre-orders or donated cash to support their child’s class. The school was then open on the Friday afternoon for a mini fete so that the parents and the local community could see what goods were up for sale. Among the items for sale at the innovative youngsters’ stalls were handmade cards, key rings, hanging baskets, bird feeders, jewellery and cookies. Bright sparks in the Reception class even took the initiative to use their start-up grant to buy their own chicken and sell its eggs. The winning class – who took the title of Gelli Dragons – was Year 3 Dosbarth 5, who raised £264.70 selling key rings, face painting and tattoos. Year 5 Dosbarth 7 were named runners up, with £258.34 made by selling bird feeders and holding a bring and buy sale. Each class managed to triple their £30 starting cost and the whole school collected £1,671.84. The pupils now plan to invest the money in new basketball posts for the playground, with the winning class being given the match funding as a special prize.